The wait is over, Firefox fans! 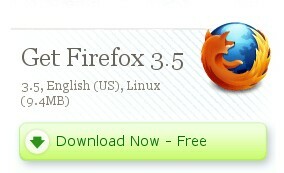 Mozilla has released the final stable version of Firefox 3.5. I will be back with more fun Firefox 3.5 stuff soon. Now, go enjoy one of the best browsers in the world! Woot! Do you happen to be running Linux then? Allan, yes! I used to run OpenSUSE for the longest time and just converted to Ubuntu. If I didn’t have so many VB apps I needed to run I would be running a Linux OS for sure. Just need to get my PHP skills up to scratch to be able to make the jump. .-= IngaOz´s last blog ..How to Show Bidvertiser Feed Ads to Current Subscribers. Step-By-Step Guide =-. Hi there! Great to see you after a long time. Are you using Firefox 3.5 and what kind of issues are you seeing with videos? .-= IngaOz´s last blog ..Blog Of The Week =-.